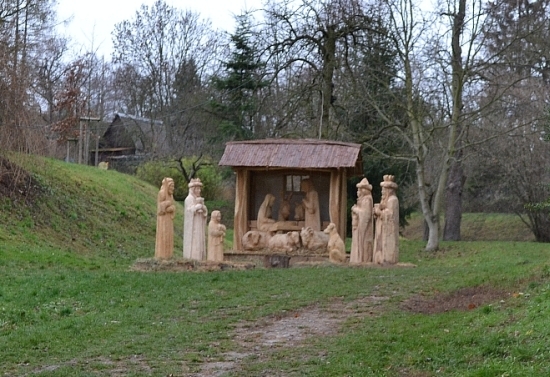 Nativity Scene by Milan Vácha is exposed outdoor in Prague-Lysolaje from 29. 11. 2015 to 6. 1. 2016. Transport: subway A Dejvická Station, then BUS 160 Žákovská station (near school). 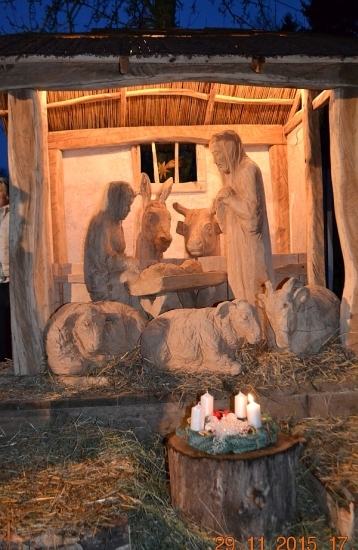 Photos: detailed view, full view.